Forget Lincoln Logs: A Tower Of Books To Honor Abe There's a new, towering tribute to the 16th president in the nation's capitol: A three-story sculpture of 7,000 books written about the 16th president. The sculpture represents less than half of the 15,000 some books written about Lincoln, says Paul Tetreault, director of Ford's Theatre. 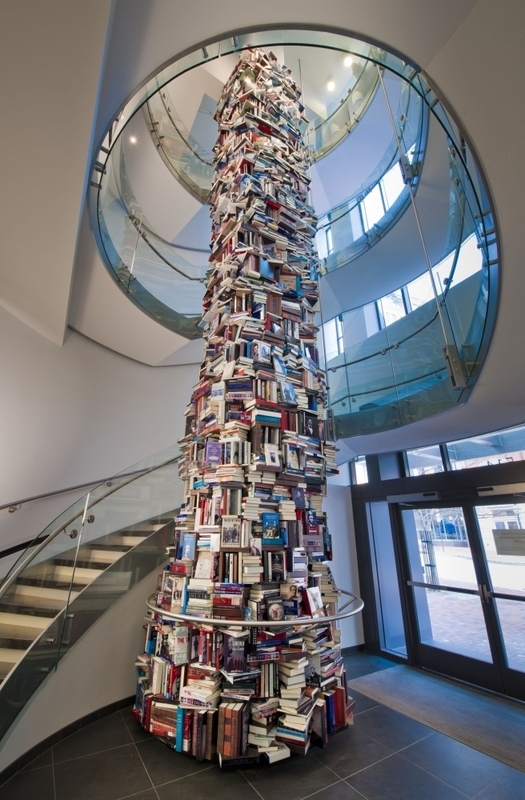 The Abraham Lincoln book tower stands 34 feet tall and 8 feet around in the lobby of the new Ford's Theatre Center for Education and Leadership in Washington, D.C. Click here to see the tower from the top down. Their solution: to physically illustrate Lincoln's importance by creating a tower of books written about him. The tower measures about eight feet around and 34 feet — that's three and a half stories tall. "It makes a real statement to anyone that this is an important guy and there was a whole lot written about him, and there continues to be a whole lot written about him," says Paul Tetreault, director of Ford's Theatre, where Lincoln was assassinated in 1865. Some 15,000 books have been written about Lincoln — more books, says Tetreault, than have been written about any other person in world history, with the exception of Jesus Christ. 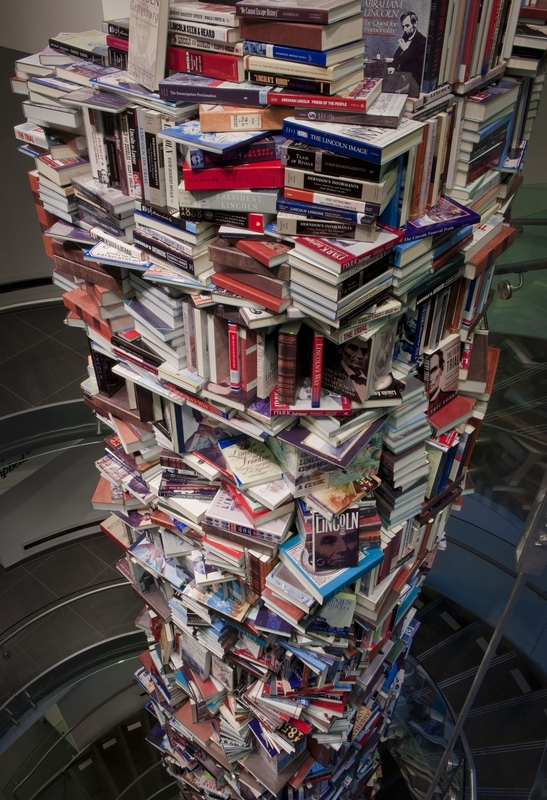 Nearly 7,000 of these books are contained in the tower. They even look authentic up close (click here to get a closer look) but the tower's books are actually replicas made of pieces of bent aluminum, with the covers of the real books printed on them.